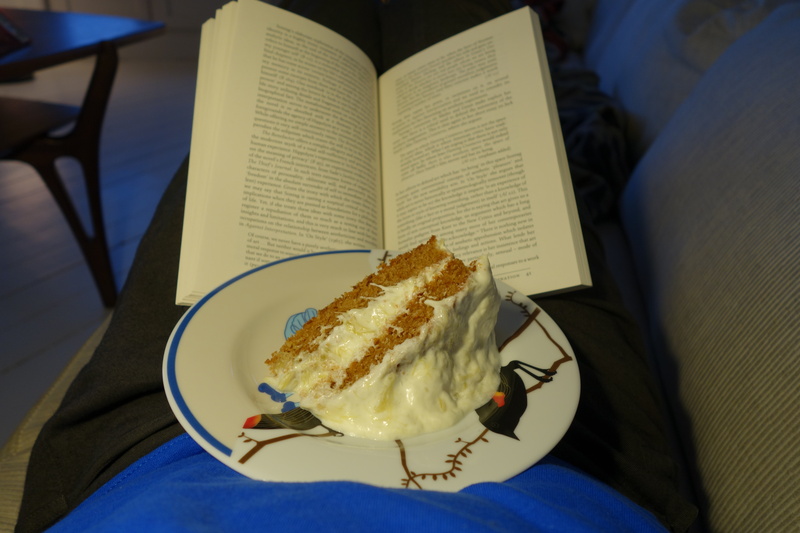 Eenie meenie… It’s Thursday, so time to pick another book to read from the cache of my most ancient unread books and bake another cake. 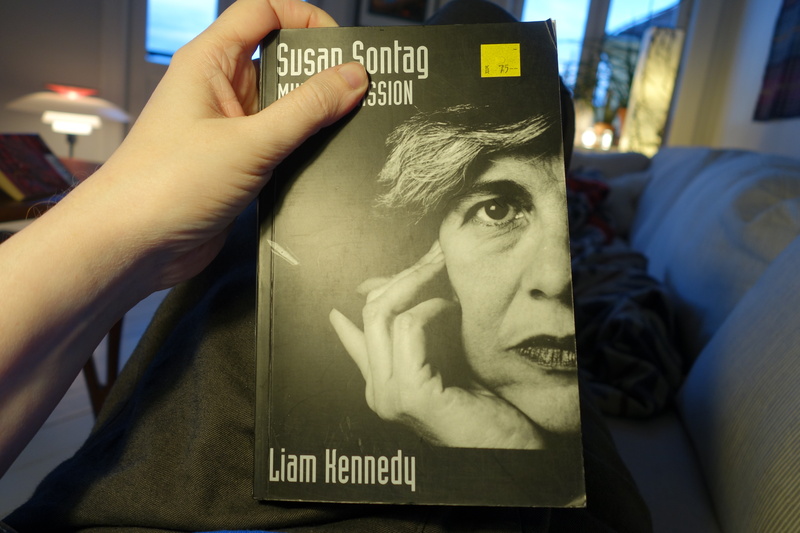 And this time the lucky winner is Susan Sontag: Mind as Passion by Liam Kennedy. 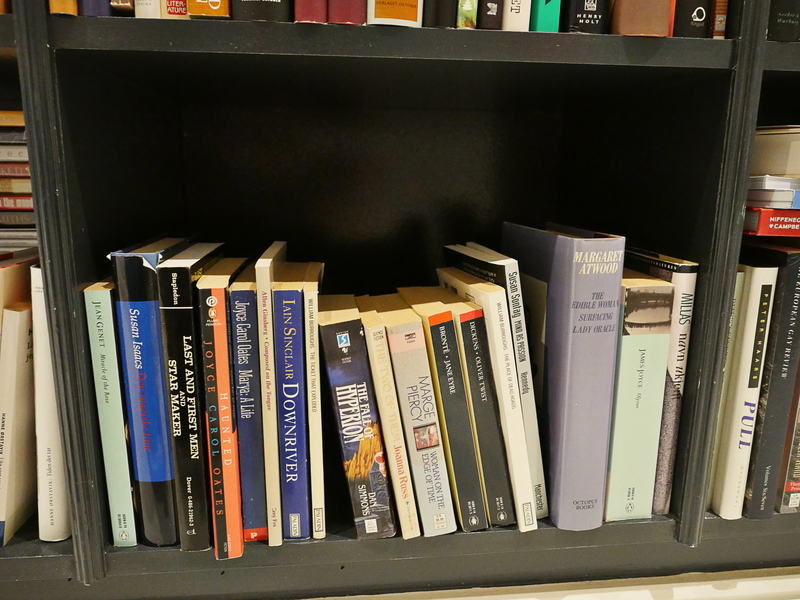 Which I apparently bought at a sale in mid-90s (so it’s a bit newer than most of the books here, I think). Back when I was pretentious teenager (before maturing into a pretentious adult), I used to read books written by all kinds of intelligent people (preferably in places where people could see me reading them), and Susan Sontag was one of them. I vaguely remember On Photography and… er… Notes on “Camp”? Was that a book or just an essay in a book? Isn’t that a stylish edition? 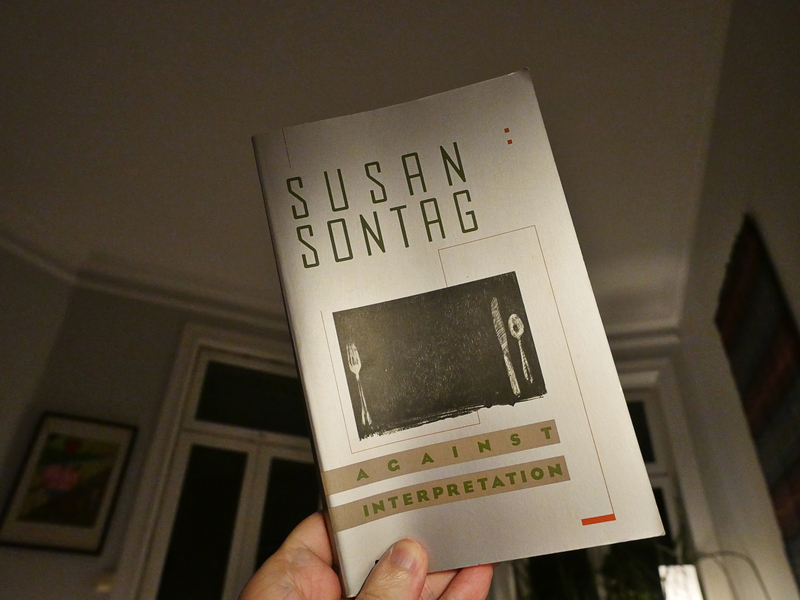 Anyway, I was a fan, so I picked up this book about Sontag and never read it. Because you know. But the thing is, I’m not really that interested in reading about Sontag’s writing. 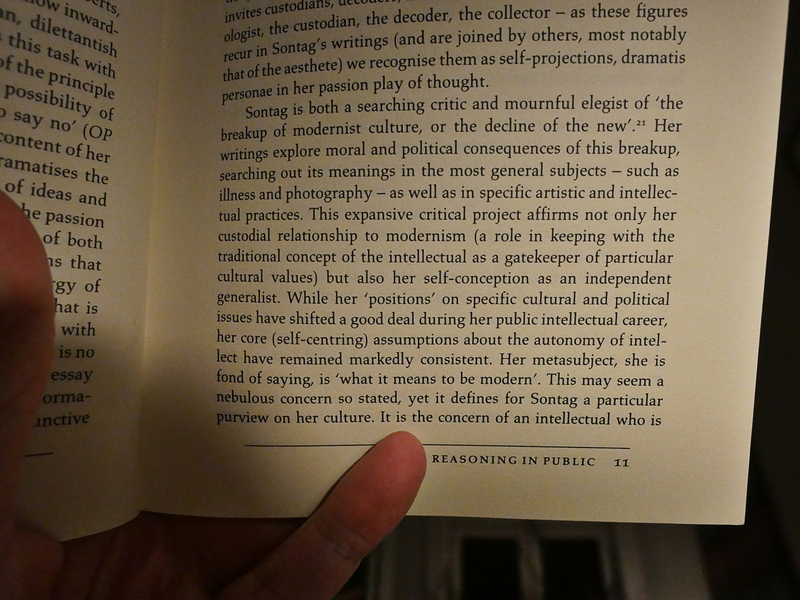 It’s interesting to have it contextualised to see what she was writing against, I guess, but it just mainly reminded me that I probably should be re-reading Sontag instead of reading this book. It’s refreshing to read a British take on her writing. And, I mean, it’s well-written and all. The cake to go along with the book is ginger layer cake with rhubarb fool. Look at my expert decorating skillz! 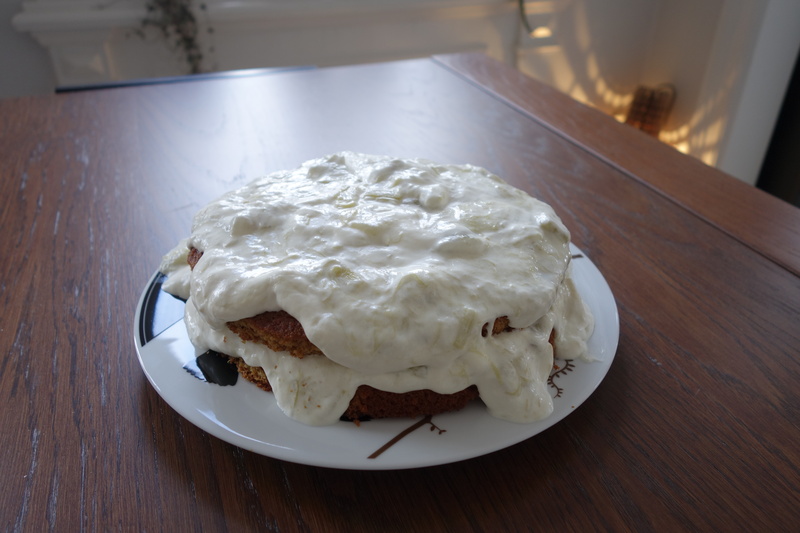 It turned out pretty delicious, although I over-baked the ginger cake by a couple of minutes. (I was watching Xena, and I couldn’t find the time buzzer thingie.) And the rhubarb for the fool could probably have been a little less wet — the fool turned a bit more runny than was probably warranted. I mean. A lot more runny. But it was pretty delish anyway. Mmm.